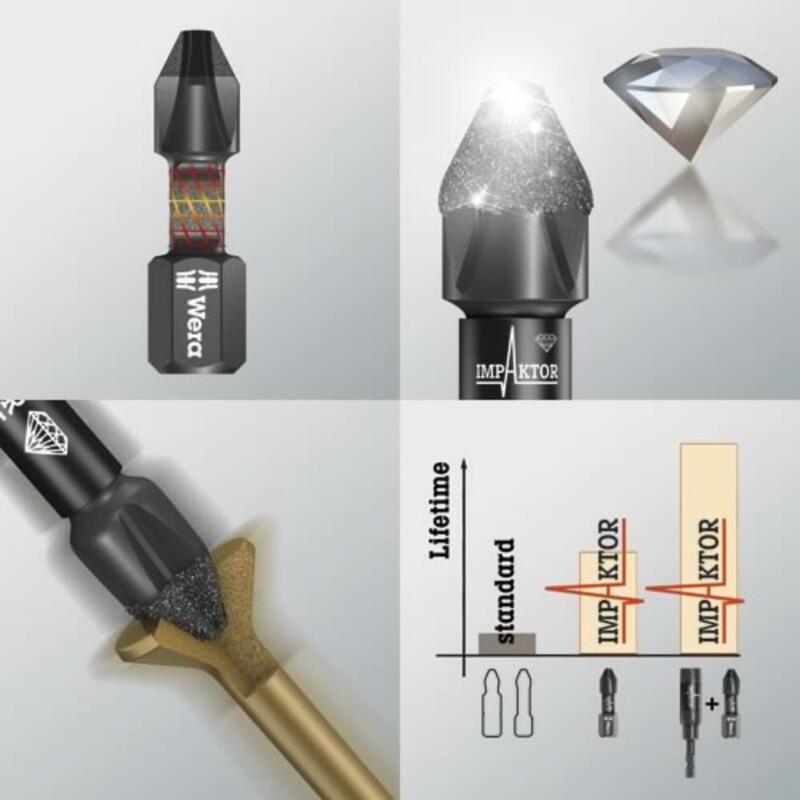 Wera Impaktor technology ensures an above-average service life even under extreme conditions thanks to a best-possible utilisation of the material properties and optimally designed geometry. 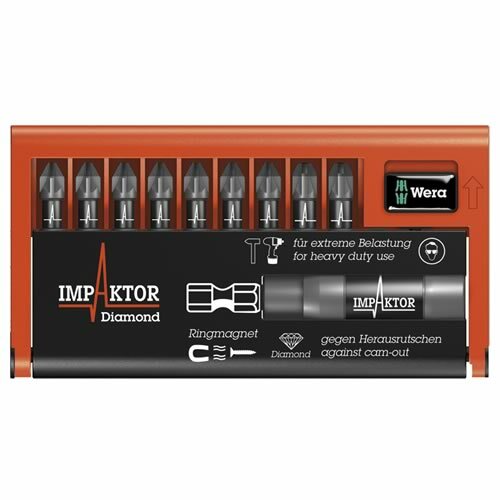 The Wera Impaktor PZ bits are particularly suitable for use with conventional impact drivers and the rough diamond coating reduces the danger of any slipping out of the screw head due to the enhanced frictional resistance. 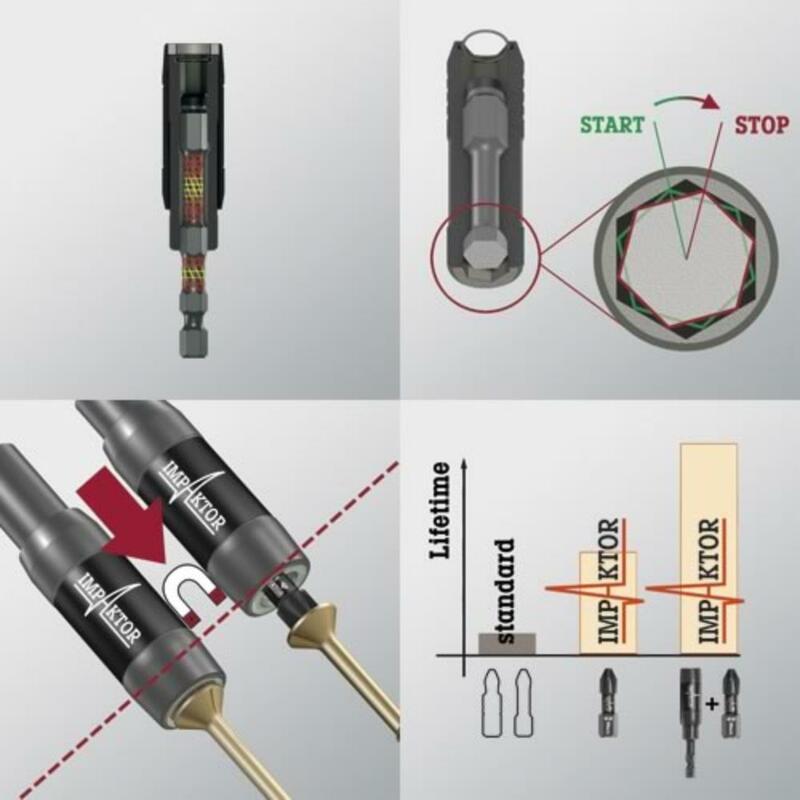 The combination of the double torsion zones in the Impaktor holder and the torsion zone in the Impaktor bit result in the so-called TriTorsion system which can make the bit last up to 10 times longer. 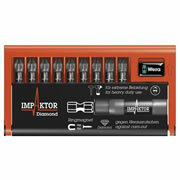 This set consists of 7 x 25mm PZ2, 2 x 25mm PZ3 and a Impaktor bit holder. 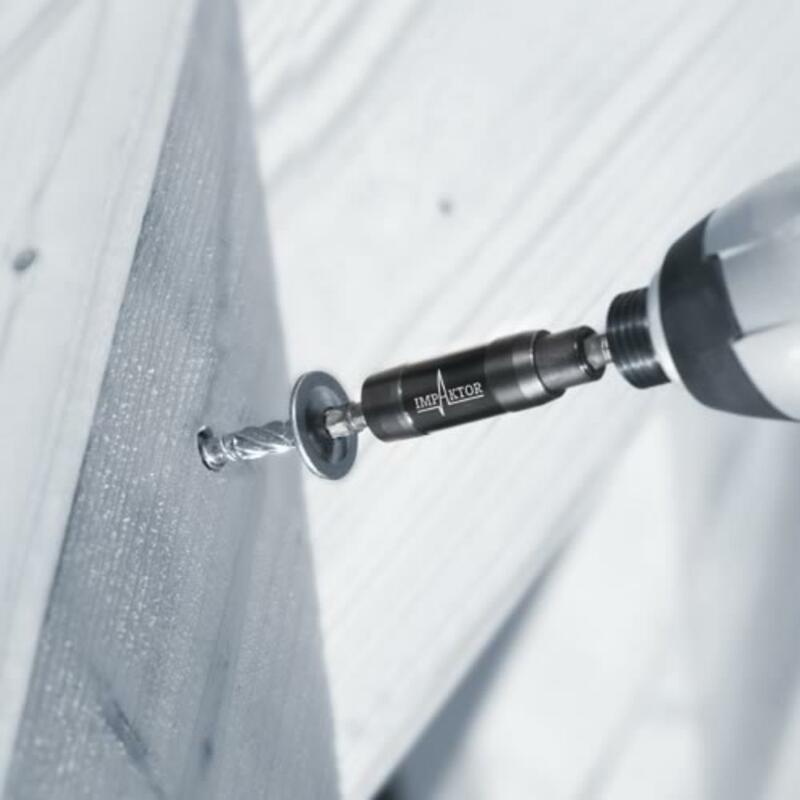 "Excellent bits, not cheap but very strong and when used with the bit holder they seem to last for ever."